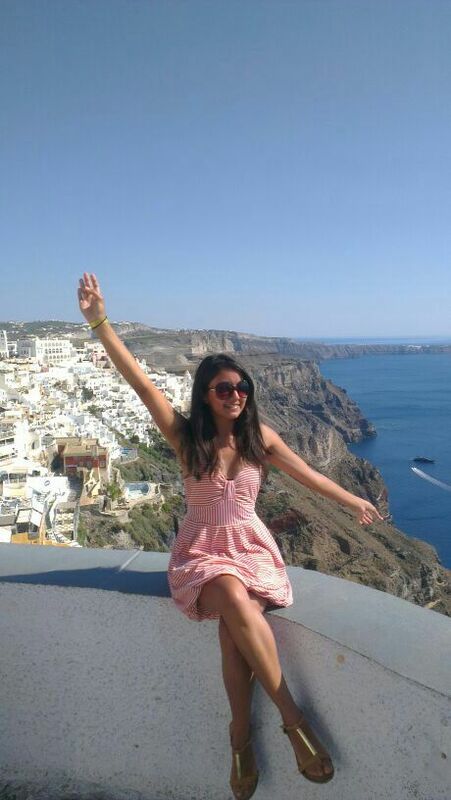 I had the chance to explore this amazing city back in 2011, and I was just fascinated by it. 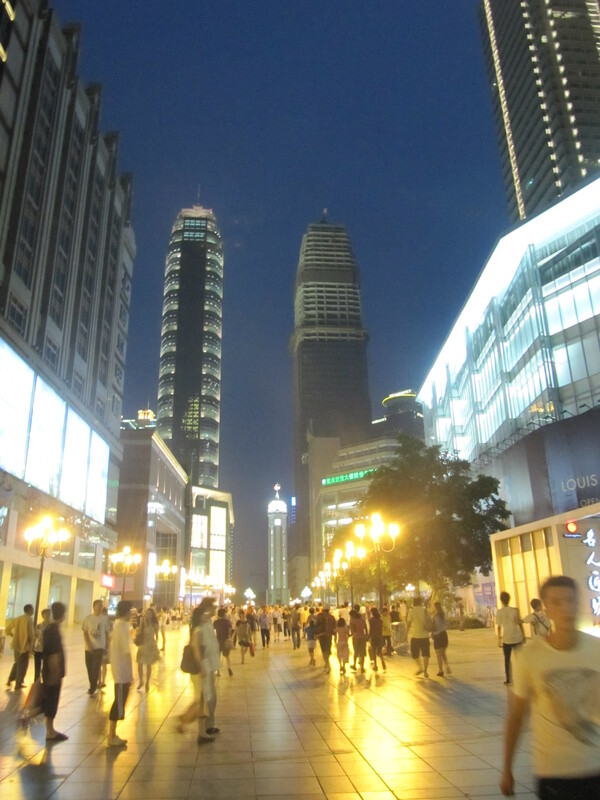 The streets are broad and spacious, buildings are tall and impressive and everything just seems to be new. 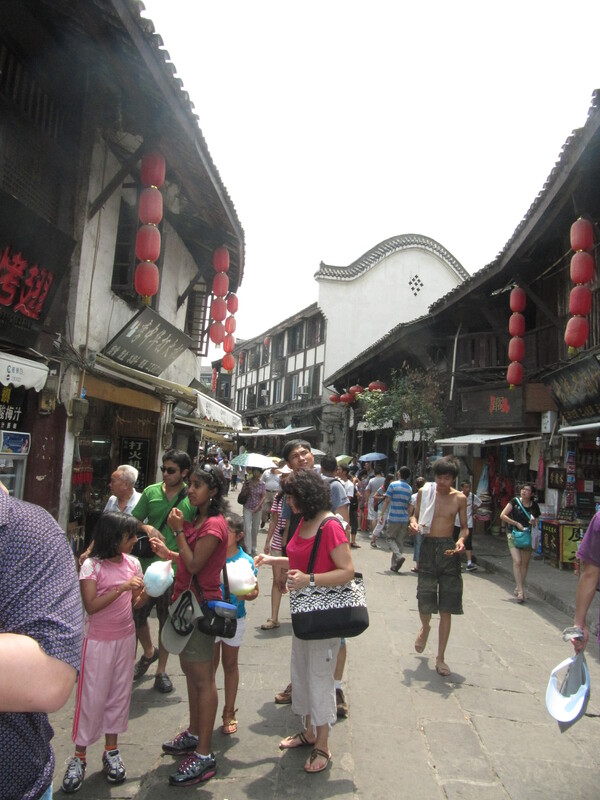 But at the same time you can also find “old towns” such as the “Ciqikou” area which is small part of the city with a few main streets and allies where you can find restaurants, snack shops, and many crafts stores. 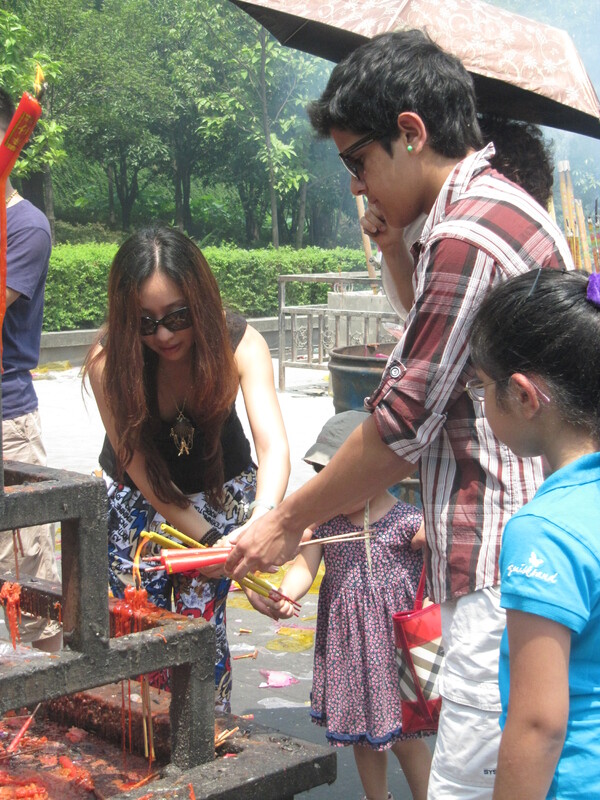 Also in this area, if you walk away from the main tourist streets you can find traces of an older Chongqing with little tea-houses and temples. 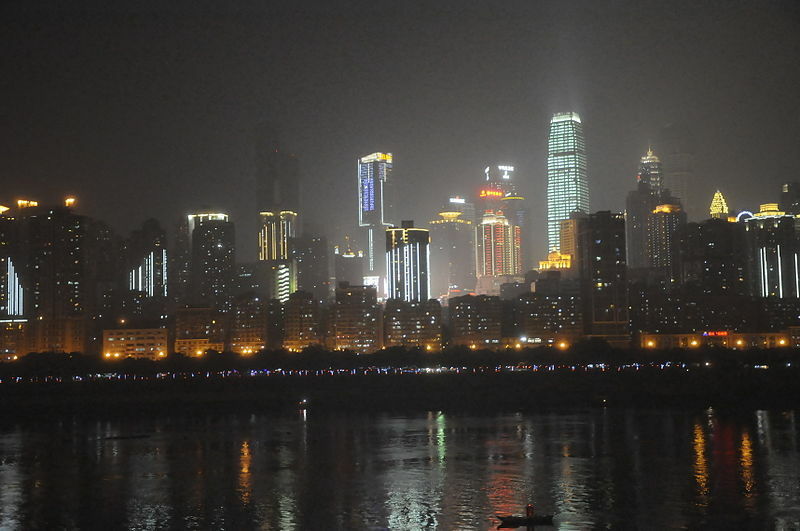 Chongqing is definitely a city that reflects everything that you think about when you think about China; busy and growing at an extremely fast pace and yet tradition can still be found and it’s an important base to chinese people. 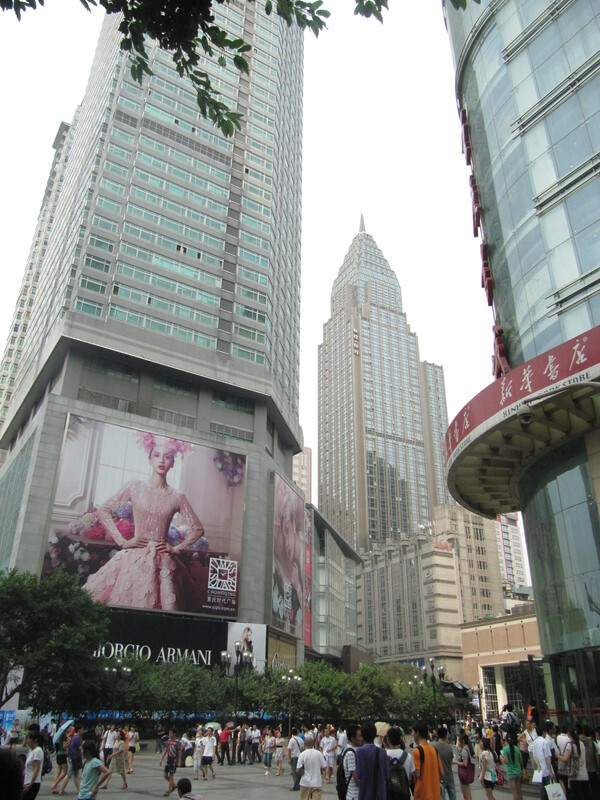 The pictures below are from the Jiefangbei distric which is basically downtonw Chongqing, a very posh -and expensive- area for shopping, where you can find all the high end brands, and dining. 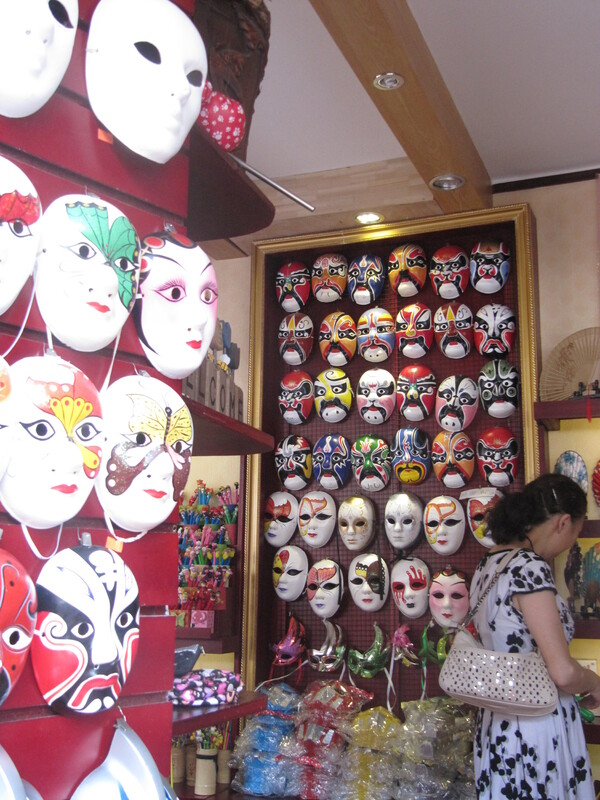 But I did my shopping at “Jin Ying NV Ren Guang Chang” mall where you can actually affor the prices and even bargain. 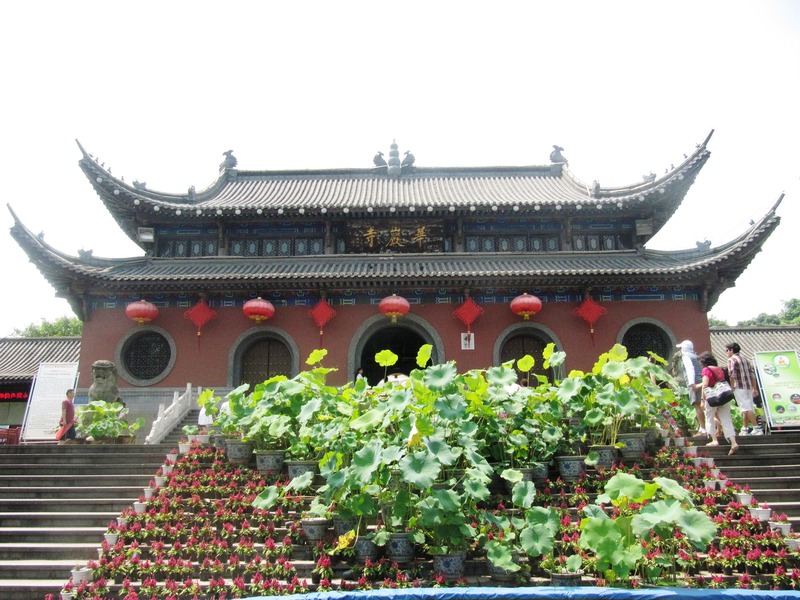 Buddhism is widely practiced in China and I the chance to visit the beautiful Huayan Temple, which lies at the foot of the Dalaoshan mountain on the west side of the city. 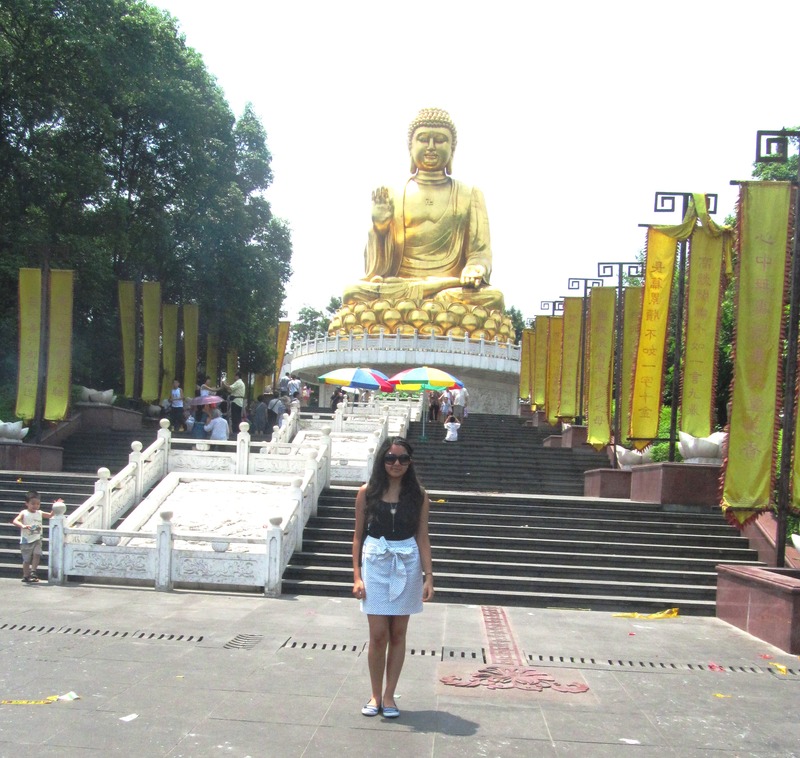 Its a very large complex and worth walking around the lovely park and admiring the golden Buddha. 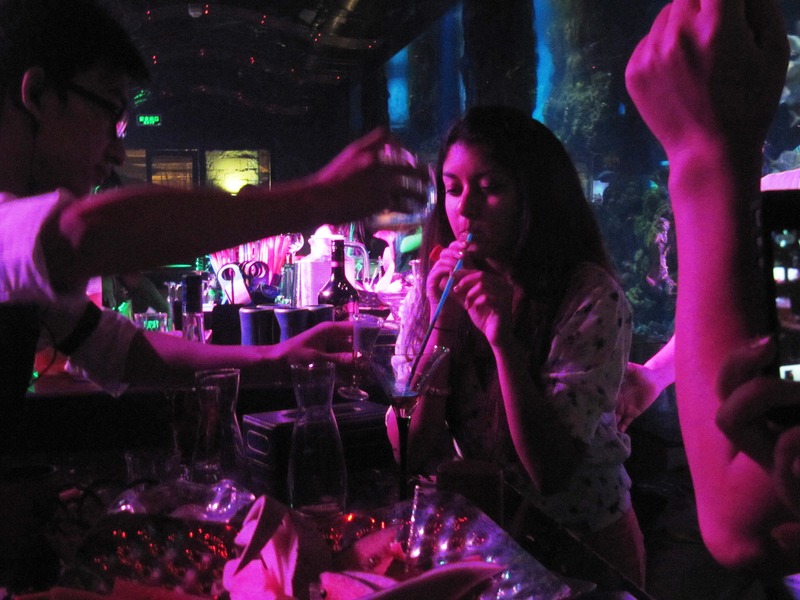 When it was time to hit the night life scene in China, I went to the coolest bar I’ve ever had a drink at.. Our chinese friends took us to the “Dancing with the sharks” bar located in the “Xian Tiandi ” area. Why the name you ask? 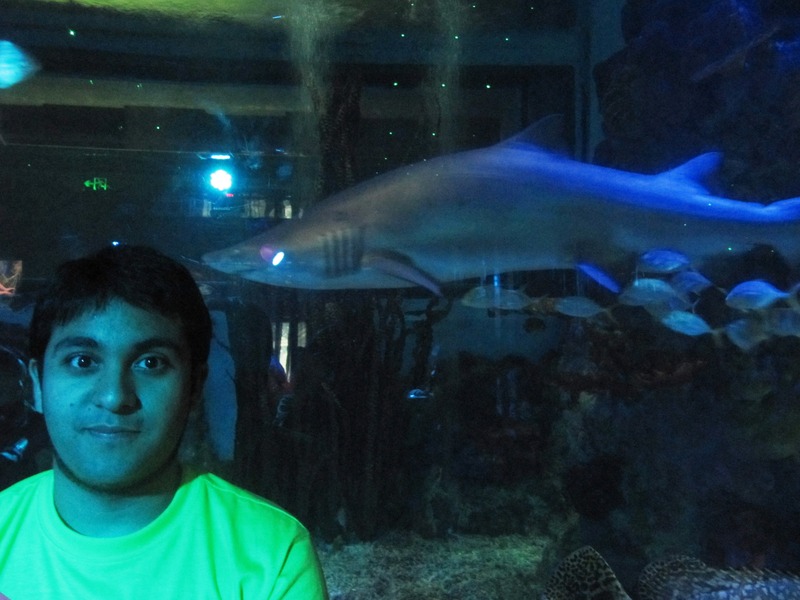 , well one full wall of the bar is an actual shark tank in which there are 3 or 4 sharks swimming around! Besides the shark tank which is impressive enough, the bar is beautifully decorated and has a fun very fun vibe. During our night I was served a drink with fire, and a singer with back up dancers put on a show. 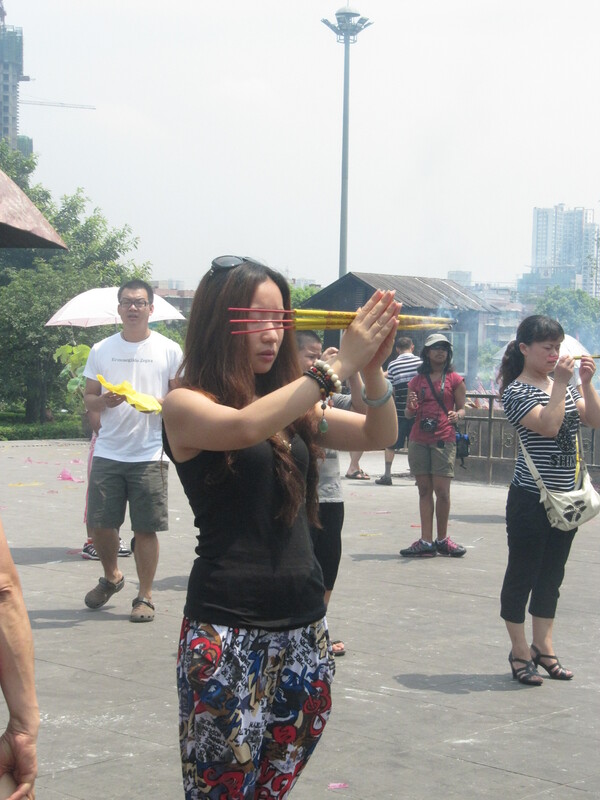 To end this post I want to share a few of the things that I noticed about Chongqing’s city life. First traffic is INSANE, and drivers will not respect you as a pedestrian, crossing the streets gave me quite the adrenalin rush. Secondly , boyfriends are gentlemans, this is something I’ve never seen anywhere else around the world, but any couple I saw walking around the streets or at the mall, the boyfriend was carrying his girlfriend’s handbag all the time. And third, for some reason my dad’s white beard and bold head caught the attention of the locals as we were stopped many times by people who wanted to take a picture with him! Great post! looks like it was fun!